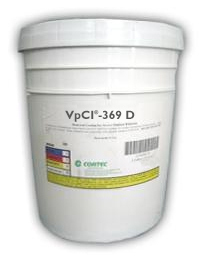 VpCI-369D provides the same excellent performance of regular VpCI-369 without any diluting or mixing required. VpCI-369D is a lubricating coating that leaves an oily film, which provides excellent outdoor protection. The film is self-healing and moisture-displacing. Works well for mothballing, shipping, storage or as an protective coating. Protects brass, cadmium, cast iron, steel, magnesium, lead-calcium alloy and zinc. Product can be applied by spray, brush, roll or dip. Available in 5 gallon steel pails (Cortec Product Code 12500129) or 55 gallon metal drums (Cortec Product Code 12500126). 5 gallon drum weighs 50 pounds and ships under our standard shipping rates. The 55 gallon drum must be shipped by truck. We will provide you with a freight quote before we ship this product.